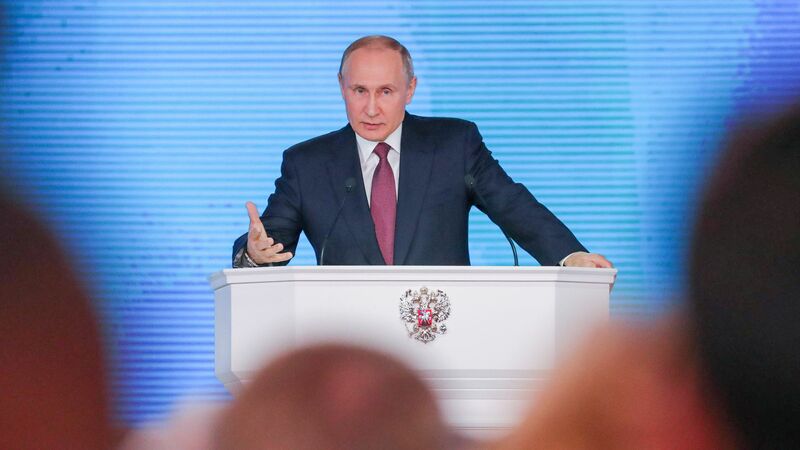 Russian President Vladimir Putin said Thursday that Russia has tested new nuclear weapons, reports the BBC, including a new missile and an underwater drone. Putin made the announcement at his annual state of the nation address in Moscow, his last speech before Russia's next election on March 18. "[A] low-flying, difficult-to-spot cruise missile with a nuclear payload with a practically unlimited range and an unpredictable flight path, which can bypass lines of interception and is invincible in the face of all existing and future systems of both missile defense and air defense."